VNX is the first exchange enabling accredited investors to trade tokenized venture capital portfolios. VNX is a financial marketplace (conceptually similar to a classical stock exchange) that will interlink several categories of customers. The supply side is represented by inventory providers - VC funds, startup accelerators and other types of venture investors that are issuing digital (blockchain) tokens on the VNX platform, linked to the future incomes from their investment portfolios (usually, exit proceeds from selling equity stakes in startups held by the inventory provider). 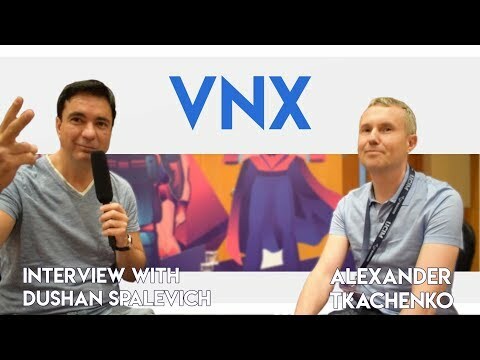 These VC tokens are essentially tokenized financial instruments (like a bond, or a futures contract) that will pay token holders a share of the future incomes of the VC portfolio being tokenized and sold on the VNX platform. These tokens will be listed and traded on the VNX platform. Qualified/accredited investors, who participate in the initial offerings of VCs and are the initial purchasers of the VC tokens. After the initial placements are closed, the tokens are listed and traded in the VNX marketplace. All other investors and traders buy and sell VC tokens in the VNX marketplace, once they are listed and admitted to trading.